BSA Fittings represent a very important part of cycling history – rarely acknowledged these days – because of their high standard and perfect standardization. 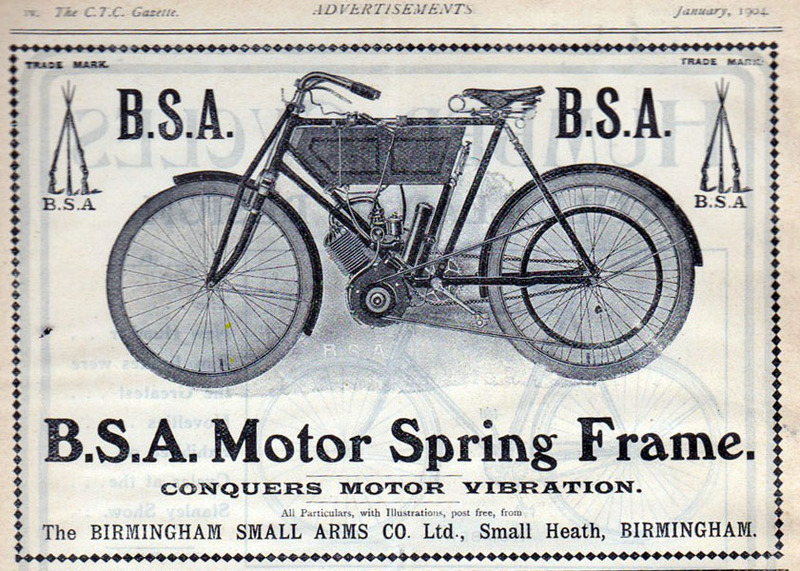 In fact, BSA used the same high standards as in their arms manufacture when machining bicycle components. Bicycles could be ordered from a local frame builder, who would supply a set of parts from BSA according to the customer’s requirements. The speed limit in Great Britain had been set at 14mph in 1896. In 1904, thanks to campaigning by the recently formed RAC and other bodies, it was raised to 20mph. But Australia had quite good roads extending through thinly populated districts, and the authorities did not object to speedy travelling. Bicycling News of 11th February 1903 reports: ‘According to this state of affairs, the world’s record of 460 miles in 24 hours on a motor bicycle has been set up by Mr. H.B. James of Melbourne’ riding a machine designed and made by local bicycle maker Ernest Beauchamp. One very important aspect of his business was the BSA franchise which Bruce Small obtained in 1935, after ruthless dealings with other competitors. This was essential to his company, as BSA was a manufacturer of quality bicycle accessories and components. The BSA franchise gave him a ready overseas and interstate market. The 1936 Malvern Star catalogue above displays the BSA ‘Piled Arms’ merged into the Malvern Star logo.